August fed rep council opened with Ellen’s attempts to overplay relatively small victories, while also claiming full credit for said wins. Ellen presented a letter to be shared with members at the beginning of the year which starts by emphasizing the union’s position on the budget; “No more cuts. Not. One. Cent.” This is a great position! In fact, it was a position AlbuCORE presented to union leadership, fed reps, and the Board of Education almost 2 months prior to Ellen’s appropriation of the rhetoric. We take pride in this – AlbuCORE clearly adopted a position and strategy that resonated with the rank and file so much, that it simply couldn’t be ignored! This is how a union should run – from the members to the top. Ellen claims that determination in negotiations prevented furlough days, increased class sizes, and the heavy high school schedule. Lamentably, contract negotiations are open to only the executive council and leave the rank and file in the dark. This makes it quite convenient for Ellen to tout her negotiating prowess because the membership has no access to the truth of the negotiating table! Additionally, Ellen’s letter omits completely the participation of the rank and file who wrote letters, attended board meetings, sent clever letters to the editor, and wielded collective power in the form of a walkout to defend public education. We applaud the courage of everyday teachers and students! Also problematic was Ellen’s staggering lack of solidarity with the working class and our fellow teachers. She said that although teachers did not face furlough days, other APS staff, who make less than teachers, took pay cuts. While this is a good development for teachers, to cheer the preservation of our pay at the expense of others in the working class is disgraceful. In a similar vein, Ellen qualified our modest contract gains by stating; “I am proud to say that, unlike many of our union brothers and sisters across the country, there were no losses.” To proudly use the losses and hardships faced by teachers to justify a weak contract negotiation is reprehensible. Unionism is about the struggle of the working class against the ruling class – it is quite horrifying that union leadership so grandly fails to grasp the collective nature of our struggle. Ellen’s letter ends by quoting Randi Weingarten discussing the importance of our schools, democracy, protecting the vulnerable, etc. etc. etc. Based on Randi Weingarten’s recent actions, this is mere lip service. Randi Weingarten spends her time taking the absurdly incompetent Betsy DeVos on school tours while condemning the legitimate protests of teachers and students who take a stand against DeVos’ agenda for privatization. It is of the utmost importance that we remember that regardless of the pretty rhetoric they might spin, none of these bureaucrats are friends to the rank and file. As we enter a new school year, it is crucial that we stay engaged in the struggle. It is beyond clear that change will not come from bureaucrats and business unionists – it must come from the activity of the rank and file. There are no champions to fight for us, we must be the advocates for public education, social justice, and working class solidarity. AlbuCORE will continue to mobilize and engage the rank and file with direct and collective action to improve our schools and communities. Join us – unite and resist! On May Day 2017 over 1000 students and teachers at Albuquerque High School (AHS) came together in solidarity and shared purpose to stage a peaceful demonstration in support of adequate funding for public services. The students and teachers who participated in this walkout left class for the last 15 minutes of the school day to protest the proposed budget cuts then being handed down by the Governor’s veto. This walkout was a prime opportunity for AHS students and staff to engage a political process that typically ignores their input. Students and teachers exercised their collective strength and used their voices to demand that their interests be given priority over those of political careers, bankers, and the politics of austerity. Certainly a lesson that is desperately needed in our current political and cultural climate. After walking out, the group assembled at the embankment on the North side of campus where they held signs, chanted, and engaged the media who had gathered on the opposing side of the fence; all doing their level best to get their demands for funding heard as parents arrived to pick up students. The AHS group revelled in the many honks, shouts of support, and fists of solidarity held high coming from drivers and parents. All was peaceful and very well organized. For the students and staff at AHS, it’s become obvious that the status quo will not solve the funding issues for public services – something becoming more widely understood on the daily – and that the time for direct action to fight for our collective interests is now. We applaud the students and teachers from Albuquerque High for being unafraid to use their collective influence to speak out against the outrageous and “scary” budget! Way to go courageous activists! Following this bold action, teachers at Albuquerque High School were promised (read; ‘threatened with’) a district investigation to be aided and abetted by the full support and cooperation of our very own union president. What a working class heroine she is! At the final fed rep meeting of the school year, ATF president, Ellen Bernstein, took the opportunity to threaten, ridicule, and defame the AHS students and teachers for their participation in this May Day walkout; one really must wonder what Mother Jones, Elizabeth Gurley Flynn, or even Helen Keller would’ve had to say about this sort of ‘labor leader’. Ellen’s vociferous diatribe included the now infamous accusation that both AHS staff and students acted because they are working “hand in glove” with Governor Martinez’s corrupt agenda to dismantle both public education and the district. Ellen’s assertion is absolutely absurd. One would hope Ellen does not truly believe this, but if that is the case, it makes Ellen’s targeting of union members all the more loathsome. She clearly tried to take advantage of a perceived opportunity to relieve herself (which is what it smelled like to be sure) of a feisty political opposition . There’s a lot to lament in the way that union leadership chose to engage with the AHS walkout (none of it too surprising), but one of the most concerning things would be union leadership’s apparent readiness to throw an entire staff under the bus just to go after a few vocal AlbuCORE members. For brevity’s sake (we’re sure you’d rather be enjoying a little well deserved R&R this summer) all ended well at AHS. There was an investigation for ‘teacher misconduct’, which was essentially dropped after a handful of interviews. Teachers (not nearly all who participated) received a letter from administration that basically quoted district ‘no-strike’ policy. Fortunately, in no small part due to a supportive administration, those letters were nothing more than a friendly reminder, and won’t be placed in anyone’s permanent file. In sum, the district (and presumably union leadership as well) believe AHS staff engaged in strike action. But despite their best efforts to punish individuals, they were unable to do anything other than remind us that it’s against their rules. Nice job AHS!! Less than a month later, the APS Board of Education and leadership team approved a budget that greatly limited the impact budget cuts would have on the classroom. This, after months of emails, radio broadcasts, and media that vigorously predicted the worst case budget scenario for our schools. During the months of uncertainty, district and union leadership consistently presented themselves as helpless victims to evil forces. However, the final budget dictates that class sizes will not increase, teachers will not suffer pay cuts, and high school teachers will not be saddled with uncompensated work. These final budget decisions present a starkly different narrative in which district leadership is not at all a victim, but a powerful decision-making entity. Thus, it would appear that decision-makers can indeed be swayed, and scared straight, by direct action – let that be a lesson to us all! It would appear that APS budget cuts did not even come near the worst case scenario presented by both union and district leadership. While this is obviously good news for our students, families, schools, and communities, it also begs the question: why did both union and APS leadership paint such a bleak picture? Since early this year, APS students and staff have been threatened with increased class sizes, reduced supply budgets, furlough days, reduced pay, uncompensated work, and cuts to student programs like middle school sports. While able to prevent some cuts, most unfortunately, schools have lost teaching positions as well as technology staff. This is unacceptable and also indicative of a system that puts profits over people. Therefore, these budget “wins,” should be considered as wins in as much as they were not the worst case scenario. However, no cuts to education should be considered victory. In a recent email from the Albuquerque Teachers Federation, union leadership sent the message that the this budget “victory” belongs to Randi Weingarten (AFT President), close relationships with state legislators, and union leadership’s coziness with district leadership; the Holy Trinity of business unionism. Accepting any budget cuts as a victory is both fallacious and cowardly, but to be fair no one ever accused our union leadership of being either honest or courageous. Our schools should not be subject to budget shortfalls, in fact, they should be highly prioritized, adequately funded, and valued as a critical component of a functioning society. Let’s address union leadership’s take on these budget wins. First, Randi’s attendance at our union hall has been shamelessly touted as a prominent factor in this struggle. It surely was big of Randi to take a break from her jet-setting tour with one of her new bestie’s – Betsy Devos – to hit us up here in the 505. Just in case you hadn’t got the news, the two of them have recently been on a ‘fact-finding’ tour of sorts. Actually, what’s more likely is that Randi agreed to act as a bodyguard for Betsy after courageous DC teachers blocked Ditsy Devos from entering their school. Afterwards, Randi came out forcefully opposing such actions, demonstrating once again the chasm between her style of unionism and ours. Besides access to powerful people, one must wonder just what Randi gets for cracking Betsy’s whip on rank and file teachers. Make no mistake, Randi is no friend of ours. Because she’s able to parachute in on a union meeting and make a stump speech for the neoliberals doesn’t get her much in our books. Any advance in the struggle to secure funding for public services belongs to the rank and file. Union leadership would also have us believe that the legislators in Santa Fe are both the heroes and champions of public education. Admittedly, some of these legislators do believe in, and fight for, public education and we certainly encourage them to continue taking a stance against austerity policies that delegitimize our public services. But, if it was that simple, why didn’t these saviours mobilize the public for an override of the governor’s veto in the first place? Why are we endlessly pressed by union leadership to contact our legislators and beg them to save our schools? If these politicians are truly on our side, why must we perpetually remind them with phone calls, emails, postcards, and trips to Santa Fe? Don’t these “supporters” know that cutting education is criminal? Our state government is on a path toward privatized education and this must be combated, not with phone calls, but with direct action! These legislators do not deserve credit for the budget wins, those belong to the rank and file. Lastly, the union cited a “professional” relationship with the district as tantamount to the well-being of our schools. Ellen, our union president, would have us believe that her relationship with the district is critical. Ask yourself: why does the relationship between our union president and the superintendent dictate the quality of both learning and working conditions for hundreds of thousands of people? This is also dubious as Ellen has recently characterized contract negotiations as highly “adversarial.” If Ellen is correct in her assertion that district leadership is benevolent and wants the best for the rank and file, why would they be “adversarial” when developing a contract to adequately support teachers? It seems that Ellen is talking out of both sides of her mouth in asking us to be overly grateful to the district for simply doing their jobs, while also blaming them for shortcomings in the negotiated agreement. Can you have it both ways? Ellen can. Thus, it is clear that the district does not deserve credit for the budget wins, those belong to the rank and file. While union leadership will happily give greedy and self-serving bureaucrats credit for limited budget cuts; this victory should be given directly to the rank and file. The rank and file in APS fought a tremendous battle! Over the last few months, students and teachers picketed and addressed the board, wrote and signed petitions, sent pointed letters to the editor, and even staged a walkout! Oddly, not a single one of these actions was even mentioned in ATF’s email. Union members engaged in union work, not with the support of union leadership, but in spite of union leadership. Ellen actively discouraged members from engaging in collective action and openly mocked and berated organizers and activists in union meetings for trying to save our schools. She used union legal counsel to send a “cease and desist” letter to her political opponents to try and stop them from claiming their membership in ATF. Ellen enthusiastically volunteered her full participation with an APS investigation of teachers at AHS presumably in the hope that those who challenge her leadership would lose their jobs and be purged from the union. These actions very clearly indicate union leadership that has no problem accepting these attacks on public education as totally legitimate and within bounds. There are a few lessons to take away. First, the rank and file should continue to go to battle for our schools because a free, public, and quality education is a human right. Second, the rank and file should never be deterred by union leadership that is indistinguishable from the corrupt bureaucracies that govern us. We must continue the struggle no matter what our union president believes because WE are the union! Lastly, Ellen has established a clear trend of attempting to stonewall direct action to appease her friends at the district. Then, when the rank and file organize anyway and win, she swoops in to take credit for herself or hand it off to her superiors. This is testament to a high degree of moral bankruptcy. We will continue to fight knowing that the victory lays not in earning public applause, but in keeping our schools, communities, and jobs intact. This is a worthy fight that the rank and file shall continue to engage on every front! The April Fed Rep meeting was unusual in that constituency meetings were cancelled and in their place was a presentation by ATF President Ellen Bernstein about the district’s budget crisis. Ellen’s presentation was being given at the same time as the Board of Education was having a special, closed-door meeting to discuss the budget. Much of what Ellen stated in her presentation was published in the Albuquerque Journal the following day. It seems that Ellen had great insight into the closed-door meeting and served as a mouthpiece for the district aiming to pacify fed reps about the financial catastrophe. The Friday prior to fed rep council, two members of AlbuCORE met with Ellen to discuss the idea of the district using their cash reserves to cover the budget shortfall. In this meeting Ellen refused to give any information saying she would not give a ‘private tutorial’ and told us the idea of using the cash reserves was uninformed. When asked why the position was uniformed, Ellen stated “because I know more than you.” Ellen was completely unwilling to share any facts on the budget with dues paying members and was staunchly opposed to organizing any efforts to prevent teachers being saddled with more work for less pay. This is harmonious with Ellen’s cozy relationship with the district and her reluctance to push back on leadership as she clearly prioritizes her friendship with the superintendent and the BOE over the union membership. The tone of Ellen’s presentation was defeated. Her words regarding the cuts were, “not if, but how much…”. The gist of the conversation was that we need to prepare for the inevitable injustice of more work for less pay. It is easy to accept wrongdoing when one is personally protected from the fallout. Regarding furloughs, she presented inaccurate information on salaries. She said that both level two and three teachers currently earn a wage that is $2000 more than the required state minimum. However, level one teachers make only the state minimum and thus, could not be furloughed. She used this logic to convince us that furlough days were impractical and unlikely. This was wrong and was corrected in a subsequent email stating that level one teachers are indeed over the state minimum and can be furloughed. This misinformation was an attempt to placate members by leading us to believe furloughs were not an option, when in fact, they absolutely are. We need accurate information from our president, not alternative facts that sow confusion and false hope. As Ellen discussed the crisis and encouraged us to accept the devastation of our schools, she consistently placed blame on the governor. While this is certainly a factor, Ellen’s complete absolution of district leadership and the BOE is highly problematic and indicative of collusion at the top that does not serve the membership. The idea that the district has no accountability is absurd. The district should be fighting the state. The current trend in the ivory towers is to slam the PED and their policies, while then legitimizing them by implementing standardized tests, lending credence to school and district grades, rolling over on budget cuts and cowering in the face of idle threats from politicians. This two-faced approach is ghastly in its weakness and damages our schools and professions. Yet, this is the stance endorsed by our union leadership. 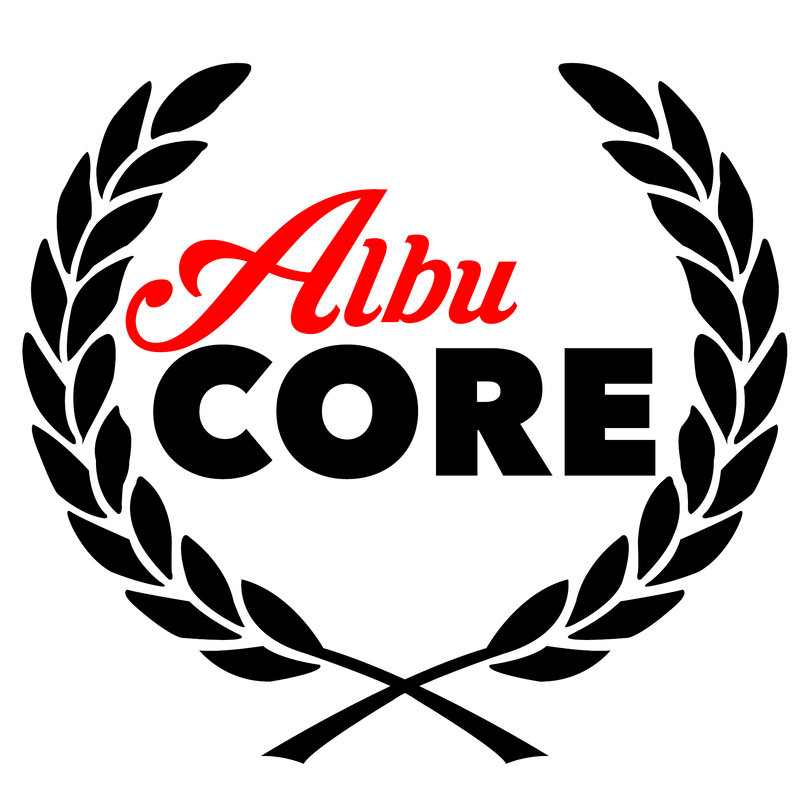 In AlbuCORE, we believe in something different. The union – the rank-and-file – needs to fight. We need to engage our struggle through direct and collective action to prevent policies that reek of corruption. It is unfortunate that our union leadership is content to sit back and watch while we suffer – but that should not hinder the rank-and-file in our battle to defend our schools and communities. One thing is certain, the blame for this crisis does not lay with teachers or students, and we should not be made to shoulder the burden as unethical politicians and leaders at all levels offer platitudes and rationalizations for their malfeasance and incompetence. We are under attack – let us stand, fight and win!